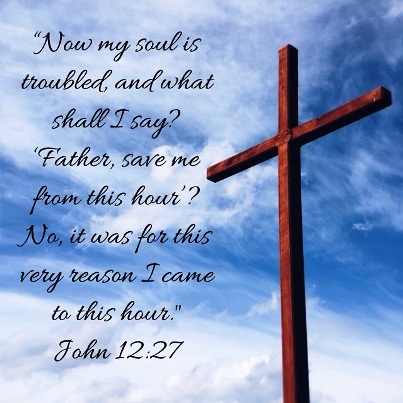 Just when people had started to think that their long awaited savior had arrived, many of their aspirations were dashed when Jesus spoke about death, trouble, and darkness. Recently Jesus had completed his greatest miracle (to date) by raising Lazarus from the dead, he had been anointed by Mary at a dinner in his honor, and then he immediately made his triumphant entry into Jerusalem with many of his followers behind him. That moment represented the pinnacle of his earthly power; he had never been more popular, and the potential revolution where he could lead the people against their oppressors seemed to be on the horizon-- or so they thought. It’s understandable that there would have been confusion in the minds of those who witnessed this conversation in John 12. How could the answers to Israel’s prayers be in a leader who was talking about being like a dying kernel of wheat? In Isaiah 49:6, one of the passages that the lectionary relates to the above account in John, both modern and ancient listeners would be reminded that that the Servant’s objective was not just restoring the tribes of Israel but also to be a “light to the Gentiles, that my salvation may reach to the ends of the earth.” But many of Jesus’ followers were looking for a strong Messiah to restore their national pride and power. The Messiah they imagined would be their military leader, yet Jesus was speaking as the Son of Man-- a servant. I feel like, even though the disciples usually get a bad rap, some of their questions were understandable. They had given their lives to following this Jesus. They left their careers and families and put their lives in danger, and they must have been wondering what it all would be for. What did Jesus’ words mean? Of course, the disciples eventually figured it out, and their lives were fundamentally changed forever. We get to reap the benefits of the servanthood of these heroes. We also have the advantage of hindsight-- seeing more of God’s plan for Jesus’ sacrifice than the people of that time were able. They were called to experience the “foolishness” of the cross without knowing the outcome, and they persisted! Their leaps of faith help me to realize that we are truly blessed to live in a time and place where we can follow our Lord without much fear of persecution. Though many in our society do view what we believe to be foolishness, we know that we can trust in our Creator who is orchestrating a perfect plan even when the way it unfolds is vastly different than what we’d expect. What a mighty God we serve!